Saying that Tetris shifted a few Game Boys is like saying caffeine sold a few energy drinks. Already an established favourite by the time Nintendo's handheld hit the market in 1989, Tetris proved to be the perfect pick-up-and-play experience to go along with the fledgling portable system; while many people initially questioned the decision by Nintendo to pack-in Tetris instead of Super Mario Land, it certainly proved to be the right decision when it was all said and done. Now all that block-dropping enjoyment comes to the 3DS Virtual Console intact. Chances are if you're breathing, you know Tetris is a simple puzzle title about various-shaped blocks falling from the top of the screen. You can rotate these blocks around in order to try to fit them together and form horizontal lines across the screen, causing that row to flash and disappear, earning you points in the process. 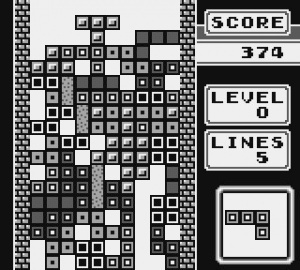 The more rows you can form at one time, the more points you'll score; clearing four rows earns you a "Tetris" which will really score some big points. However, you have to be careful as the blocks will continue to build up on you and once your blocks reach the top of the screen it's game over. What is easily one of the simplest puzzles ever crafted ultimately turns out to be one of the most addictive too. There are three different modes here. Game A is your standard Tetris game mode and allows you to play as long as you can until your blocks stack up to the top of the screen, with the choice of 10 different starting block-dropping speeds. This is probably the game the majority of people will enjoy the most as it allows you an almost endless playing session — depending on how skilled you are at the game, of course. Game B changes things up a bit and forces you to remove a set number of rows before your blocks stack up to the top of the screen. While this is fairly easy on the early difficulty settings, you can set the starting speed higher and select from five varying heights of stacked up blocks with which to start the game, making it even more hectic. Once you've removed the required 25 rows, your score is then tallied up based on how many rows you removed in single, double, triple, or Tetris form. While not quite as much fun as the more standard Game A, this game mode is quite good if you only have a few minutes to play and just want a quick Tetris fix. Regrettably the original Game Boy version's multiplayer mode is absent in this Virtual Console release, a shame considering DSiWare release Tetris Party Live includes online multiplayer and doesn't cost too much more. Visuals are about what you'd expect from an early Game Boy effort. While there aren't a lot of the flashy backdrops found in other Tetris titles of the time, the blocks themselves are clear, and that's really all that matters. There have been countless ports of this addictive puzzler made available for just about every electronic device in existence, but the Game Boy version is arguably the most well-loved. This 3DS Virtual Console might seem overpriced in terms of how much content you're getting — and there's no multiplayer, remember — but it's the Tetris you remember, and that's reason enough to give it another look. One of these games on which I already spent thousands of hours... It remains my favorite version. This is my favorite version of Tetris. I bought a 2nd copy of the cart when I lost my original a few years back. So glad this was released on 3DS VC. I feel like I've stepped into a time warp with this game! I'll take this version of Tetris over any other. Still love sitting down with this game to this very day. Actually, the tetris I remember is the NES version, but i'll still give this a play eventually. I'm with Corbs on this one. No other version compares. Still just as addictive and fun as it ever was. Unless online play is a big deal to you it's a must have. For me, this is still the best Tetris game out there. I'm really annoyed with most games which let you move and rotate the piece while it's already on the ground. So I still love this game, but won't buy it. Still have the original cartridge. I would get it but I already have Tetris(cartridge). I'm so happy this was on the VC. Its really an essential title for the VC service. Now how about those NES versions please? @Jfilesguy Every GB game we need? No way! Still don't have Dr Mario here and even if we did there's no Donkey Kong Land yet. Was the Game Boy Color version, Tetris DX inferior in any way? I'm just a little surprised they didn't use that version instead, like they did with Link's Awakening. I've downloaded it anyway. I remember watching a friend play this on his Game Boy and thinking it looked boring compared to the games I played (Mario, Sonic etc...). It wasn't until I bought The New Tetris for the N64 that I learnt what all the fuss was about, and what a foolish child I had been. I love this version of Tetris, it has my two favorite songs: "A" and "B"
Tetris DX didn't have the same great music, and it was easier to keep playing at the top speed so the game didn't have the same challenge as this one. Now that we can save high scores, the only real advantage to DX was the colour, but being as the colours were non-standard it's almost more confusing to play it. @iphys actually if you play Tetris on a GBA it is in color so Tetris DX has no real advantages. I've never played Tetris before in my life. I think I might get this. @6 Jfilesguy: Still quite few more gameboy titles we need. I'm waiting for Final Fantasy Adventure. @skywake: Do we really need Dr. Mario now that we have Dr. Wario? I would get it but my GBA can play the multiplayer mode. I've got Tetris: Axis, Tetris Party Live and of course I had to get this version, too. It's the version I grew up with (with my cousin's Gameboy which I borrowed much too often) and it's a fantastic addictive game, as great as it ever was, with increased difficulty without the modern bells and whistles of the newer releases. It gets a 10 in my book! 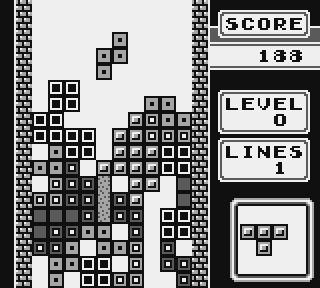 Played this to death on my Game Boy many years ago, and loved Tetris DX on GBC even more... still I have a hard time justifying a purchase with Tetris Axis on hand. Sound logic for saving the money obviously. This is THE definitive version of Tetris! None of that... being able to continually spin your piece garbage that has plagued modern Tetris games. You think Tetris is easy noobs, play this one. This is the only Tetris game I lose at before hitting the highest speed level and I love it! Now i'll make an unpopular comment, but i completely disagree with Big N's policy on prices, especially this time. 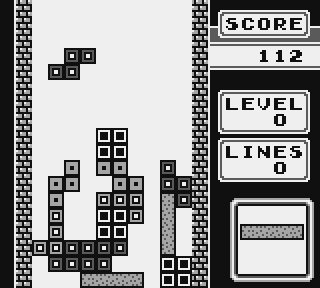 Tetris GB is a great nostalgic piece of software, but it came for free along with the Game Boy itself. Now it is asked to pay 4 (FOUR!) Euros for a 20 years old game in black and white which, btw, has seen so many less expensive and (arguably) better re-releases i can't even count them. I don't want to make cheap comparisons regarding the fun provided ( tetris is almost surely the most addictive game in history, and it's fun as ever), but Infinity Blade on iPhone cost 99 cents more. What i'm saying is that the market IS changing, and Nintendo is speculating with the old excuse of giving the correct value to games. I think that values should be decided by customers, and buying nonsensely without questioning pricing politics isn't doing any good to the final users. 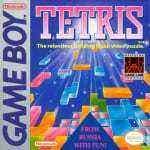 Tetris was very sold on Game Boy!! i used to play this on the gameboy for hours all those years ago. it is still one of my favourite games, ever, as well as my favourite puzzle game ever. glad to see this on the 3DS V.C. I downloaded this straight away. It holds so much nostaligia for me & it has the best Tetris soundtrack. I never really play Tetris Party Live online & I might just back it up to my SD card. Tetris vc loads straight from my SD card, Tetris Party Live doesn't & I don't have space for all of my DSiWare games. I still have the original, I bought at EbGames when I went to U.S back 2007 for 0,99 so really want the DX version instead. All we need now is NES Tetris. I have two GB versions of it, and love playing it on the GBC. I'd rather have Tetris DX, same game with 3 upgrades: better interactive music, 3 save files, and a little thing I like called "color". However, this will do, as I never thought they would do a licensed game like Tetris. Tetris GB is, along with Tetris DX, a Tetris game WITHOUT game breaking infinite spin. Seriously, this saps the frantic fun out of single player if you can infinite spin a single piece for 3.5 hours (which is how long your 3DS battery will last - zing!). So really you need two versions, non-infinate spinning Tetris GB (or Tetris DX) for single player, and online Tetris DS (or Tetris Axis) for multi player. In my day, if you where on or above level 9, you better have a spot picked out for your piece mighty quick, cus it was falling fast and locking on touchdown. The fun was not in maxing out the score numbers or level speed to teleporting infinite spin time so you could never "die", but in just how long you could last, cus like the Russian in Rocky 4, this Russian game will break you! Think i'll DL this despite having this on wiiware and dsiware. Want Tetris on my 3DS, and I think this will be the one I'll get. Love that old-school theme. I always liked the Russian music in this version. The other versions with the bells and whistles never got the music really right. The DEFINITIVE version of Tetris. End. Of. IIRC, Miyamoto wanted to release Super Mario Land as the game that came boxed in with the Gameboy. It was some ppl on his staff that suggested he go with a more clever, smarter, and mature title in Tetris. Shiggy showed guts by taking his staff's advice and the decision to abandon his famed plumber for an obscure puzzler game ended up being bloody brilliant!!! This game is a must have for anyone who played in when it came out, even if you already have Tetris Party Live. For the price of 1 large cheeseburger, you can't go wrong. This game bring me back to when I first got the original Gameboy. I hope they come out with the Final Fantasy Legend Series someday... or Final Fantasy Adventure even. Really glad they released this. Who cares about online? This is REAL Tetris. Played the NES version a lot with my daddy when we got the system bundle with SMB / Tetris / Nintendo World Cup in the early 90's. And this is the only game my ma ever played a lot. She had a cheaper Game & Watch kind of portable with only some Tetris on it. Okay, she also likes Kawashima, Dr. Mario, memory games and Wii Sports but she wouldn't ever get a console for these. With the NES version still in my posession the only draw for me would have been multiplayer. @skywake I'm going from the point of view from a yun-ng who doesn't remember the good old days and wanna play the best GB games around, Dr. Mario is point-less because there's already a DSiWare version, and unlike Tetris, the GB version isn't that popular. DKL doesn't get love because most of them young wipper-snapers would rather play DKC, not saying it wouldn't be a great VC game, just that we can wait a little more. I have the GameBoy, and I have Tetris for it. Its a great game! I play it alot. I give it an 8/10. I will be picking this up, just for nostalgia's sake! I found Tetris DX to be faster at sliding the falling piece left to right than Tetris GB. I prefer Tetris DX for that, dynamic music and color. The only thing I really miss from the Tetris GB was the garbage clear mode. But the best part was both had non infinate spin. In fact I really really hope Tetris DX comes to the 3DS VC. That said I still enjoy Tetris DS the most, go figure. still debating whether I should get this one with a €2 game, or just Punch-Out!! mmm... I'll see. Amazing game and what I feel is the perfect Tetris game. Nostalgia overload and I'm so glad they released it for the eShop.